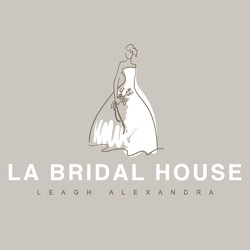 LA Bridal House is a multi-award winning bridal boutique based in the beautiful coastal town of Carrickfergus, offering Brides the very latest in Bridal Fashion. With a fabulous collection of contemporary designer dresses, stylish, comfortable surroundings with a relaxed atmosphere and with a friendly, professional service, each bride and her party will feel truly pampered. 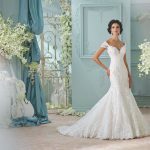 With Bridal gowns from leading, world renowned designers and Bridesmaids collections from award winning designers you will be sure to find that perfect gown. 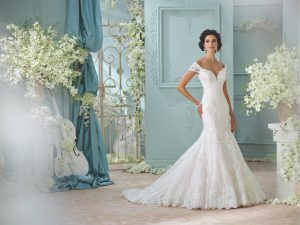 We have around 100 Bridal gowns and 150+ Bridesmaid dresses instore. When you visit LA Bridal House, we will always welcome you with our warm, exciting and casual atmosphere. Building a relationship with you during one of the most important times in your life is our goal. We find it a privilege to be sharing such a special time with you and look forward to meeting you. Our boutique is based at 74 Belfast Road, Carrickfergus, and you can contact us on 028 9303 8087 to make an appointment.